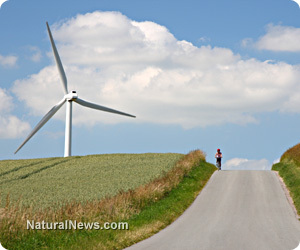 (NaturalNews) With a few weeks of hindsight to examine the American Taxpayer Relief Act Fiscal Cliff deal, it's become obvious that the deal offers mixed results for green energy options in the 21st century. There are positive endorsements for renewable energy and biofuels interests that are receiving a great deal of hype, but not everyone agrees that the changes are for the best. The fiscal cliff deal included major steps forward for biofuel interests, according to The Energy Collective. Tax credits were extended or renewed for a range of potentially lucrative biofuel projects, including biodiesel, ethanol, and algae. Business research and experimentation (R&E) and renewable energy business options also received a range of benefits in the bill. Tax credits for wind energy and other renewable resources, originally set to end at midnight on December 31, 2012, were renewed for another year. The policy extension has the ability to save 37,000 jobs this year, according to PolicyMic. In the same article, author Joseph Doolen argues that the renewable energy provisions in the bill don't go far enough - coal and oil subsidies don't come up for debate every year, they're permanent. Why should renewable options face the chopping block every year? And, Doolen says, the potential damages to human health from the environmental impact of these permanently-subsidized industries "will dwarf the costs of PTC and the other 'green' bits of the fiscal cliff deal." The new deal does offer some big boosts for key industries that may help kick-start a greener economy. But they're not all cut-and-dried. For example, Section 403 extends credits for "electric vehicles" with two or three wheels - electric scooters, or e-scooters, that are taking some urban markets by storm. One problem: The scooters are still illegal in some states. The bill's Section 406 also classes coal obtained from Native American lands as a "renewable energy source," using the same production tax credit that boosts renewable energy sources. It's not a huge issue in terms of expenditures (in the ballpark of $1 million), but it's a tip-off that the "green" provisions in the bill are not all squeaky-clean. Some experts are optimistic about the fiscal cliff deal for the future of green energy options; others are more reserved. Manik Roy, Vice President for Strategic Outreach at the Center for Climate and Energy Solutions, told writers at governorswindenergycoalition.org that it shows the power of bipartisan support even in these difficult times. On the other hand, Benjamin Zycher of the American Enterprise Institute believes that these subsidies only serve to under-price energy from renewable sources, which has precarious implications for the markets down the road. According to Zycher, the subsidies also encourage inefficiency in existing energy production systems, further ballooning the costs of traditional energy options. It's undeniably encouraging that, in the midst of the financial tangle currently overwhelming Capitol Hill, our lawmakers made the effort to encourage potentially green energy sources in the upcoming year. At the same time, the deal should send up some red flags to grassroots environmentalists, conservationists, and non-profit concerns. At the end of the day, the "green" snippets of legislation in the American Taxpayer Relief Act privilege big industries and technological R & E. That's not necessarily a recipe for green economic success - but it is an indication that Congress may be trying to finagle a more sustainable future by shoring up a slightly different edition of the status quo. Ellie Maclin is a writer and sustainable farmer with a love of all things handmade--food, tools, clothing, children... She has a B.A. with Honors from UNC-CH and a M.S. in Archaeological Resource Management from UGA. Economy, Natural Awakenings Memphis, and several online writers' co-ops. She also runs a small sustainable farming operation with her husband, providing vegetables on a subscription agriculture model and pork on a hog-share basis. She lives and works with her husband and daughter on a historic family farm near Memphis, TN, in a farmhouse that was constructed starting in 1832. She is a "green living" specialist with experience in permaculture, organic farming, humane animal husbandry, ecology, anthropology, and the long view of human history on the agricultural landscape.